Co:Spinel is used for passive Q-switching in lasers emitting from 1.2 to 1.6 micron wavelengths. 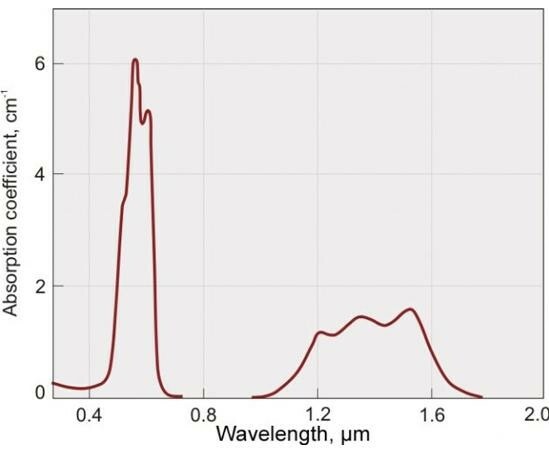 Co2+:MgAl2O4 (Co:Spinel or Co:MALO) is a relatively new material for passive Q-switching in lasers emitting from 1.2 to 1.6 µm, in particular, for eye-safe 1.54 µm Er:glass laser, but also works at 1.44 µm and 1.34 µm wavelengths. High absorption cross section (3.5 × 10-19 cm2) permits Q-switching of Er:glass laser without intracavity focusing both with flash-lamp and diode-laser pumping. Negligible excited-state absorption results in high contrast of Q-switch, i.e. the ratio of initial (small signal) to saturated absorption is higher than 10.